Rhenna Morgan writes for the same reason she reads—to escape reality. A native Oklahoman with two beautiful girls and a fantastic husband, her resume reflects her passion for new experiences. 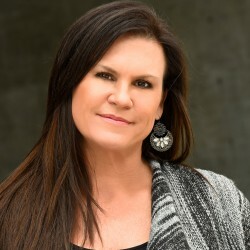 Since graduating with a Bachelors in Radio, Television, and Film at Oklahoma State, she’s racked up positions ranging from on-air radio talent, skip tracer, and promotions director, to real estate agent, project manager, and business analyst. Like most women, she’s got obligations stacked tight from dusk to dawn. That’s where the romance comes in. Reading, or writing, romance has been her happy place since she cracked the spine on her first Christine Feehan book years ago. Nothing thrills her more than the fantasy of new, exciting worlds, and strong, intuitive men who’ll fight to keep the women they want. Whether it’s contemporary, paranormal, or fantasy you’re after, Rhenna’s stories pack romantic escape for the women who need it.